A report on digital consumption by Boston Consulting Group (BCG) predicts that in total, the country will have 55 crore Internet users, out of which, 28 crore will be from smaller towns and cities. These numbers are expanding at close to 40 per cent every year from six crore in 2014. The report further points out that the shift will play a vital role in growth opportunities for marketers and service provides keeping in mind the dynamics of the rural markets in India. Marketers will be able to use online distribution through eCommerce for better output and product availability. As mCommerce is giving a tough fight to eCommerce, it is also cited that majority of the Indians who use Internet have surpassed the personal computer phase and uses mobile and tablets to go online. About 70 per cent of the rural users access Internet through mobile phones. As per Nimisha Jain, Partner and Director, BCG, India has skipped the PC phase and moved to mobile phones. And amusingly both urban and rural users are looking for same things on the Internet. Expanding reach, affordable access and improved awareness are the keys to drive online growth in India. By the end of 2018, women will acquire one-third share of all Internet users from 25 per cent in 2013. 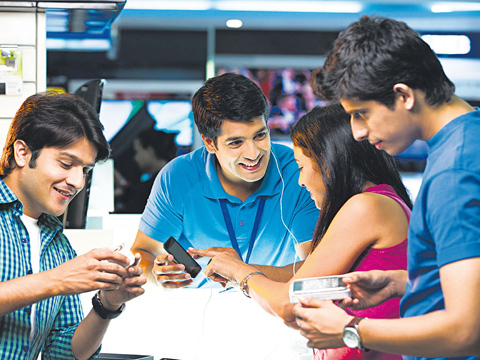 The reports also states that around 200 million Indians used mobile phones to access Internet in 2014. Moreover, the ratio of households that can afford Internet is expected to increase by 65 per cent in 2018 from 56 per cent in 2013.